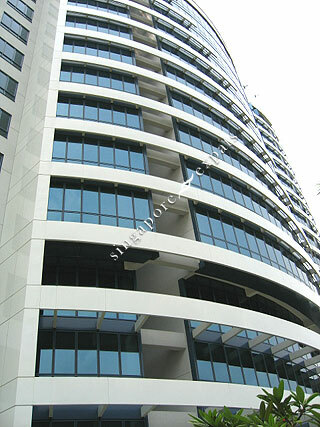 Water Place - An intelligent, interactive and internet-ready condominium located at Tanjong Rhu. Near the sea, minutes from the Central Business District. Within walking distance of the future Boulevard MRT Station. The best land and sea sport by the Kallang River or by the sea. Set sail now for a great new life at Water Place. Water Place is a stone's throw from Leisure Park Shopping Centre, Singapore Indoor Stadium, Singapore National Stadium and the Boulevard MRT Station. Amenities like supermarket, fast food restaurants, shops, cafes can be found in Leisure Park. Water Place is also within close proximity to the East Coast beach, seafood restaurants, Parkway Parade Mall and eating outlets. Water Place is mere minutes from Suntec City, Marina Square and Raffles Place (Singapore’s financial district). Orchard Road is within a 10 minutes drive away via the East Coast Parkway (ECP) or the Nicoll Highway. Great place for the families and expats. Very nice surrounding with greenery and easy to travel around singapore because it is so near to the city. Situated Conveniently in aPeaceful environment.